When you say "handcrafted," some people hear "homemade"
Not everyone has the heart to appreciate jewelry created by a person they can meet face-to-face. When you say "jewelry" to many jewelry consumers, they think of big fancy stores and expensive shiny stuff. People who prefer big fancy jewelry stores (aka fancy-jewelry-store people) don't want to think about how their jewelry was made. They don't want to consider that they're craving the same mass-manufactured, machine-stamped baubles owned by millions of women (and men) worldwide. Fancy-jewelry-store-people don't want to think about the third-world workers somewhere in the metal extraction, diamond-digging, or assembly process. 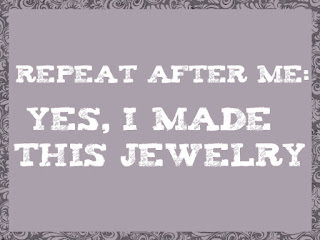 Those same people may always see your beautiful handcrafted jewelry creations as "homemade," but that's okay. Some people (maybe even a fancy-jewelry-store-person) may even buy your jewelry for a reason they can't put their finger on. They may say they're drawn to you or your work or your display and that will give them reason enough to do the deal. 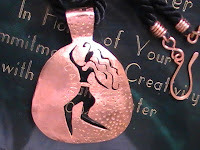 I've been told that people who choose jewelry pieces for vague reasons do so because they can feel the artist's spirit. That's pretty cool. All of the reasons-to-buy boil down to one thing. The art lover is buying a little piece of you. And if that's the case, you should make it a point to put more of yourself into your jewelry. Do whatever you can to give your jewelry customers what they want? So... how do you put yourself into your jewelry? When you create from your own original, one of a kind idea, when a piece says YOU from beginning to end, you're creating little pieces of yourself. There are a few of ways to do this, one is working from scratch. Imagine you have an auntie Cornelia who's a fabulous baker. Oh, the cakes she bakes... and always from scratch. You don't expect or want her cakes to look or taste like those frou-frou bundts everybody buys from the Pretty People Bakery across town. You want aunt Cornelia's cakes to taste like the cakes only she can make. And with each bite, you think about her. You feel the warmth of her smile. You know she created that cake adding eggs and sugar and butter with her own two hands. You know as a final ingredient, Aunt Cornelia added in all the love in her heart. And that made all the difference in the world. 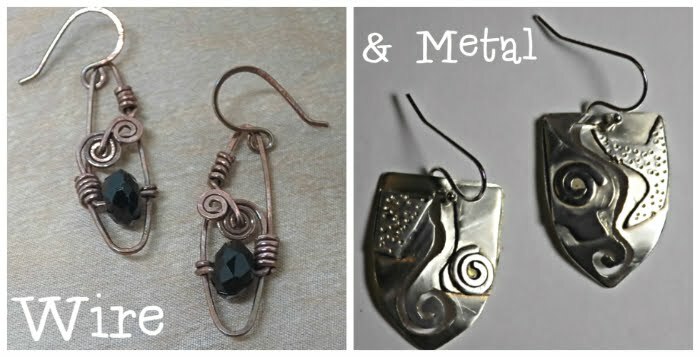 Whether you create wire jewelry, metal, enameled, cast, or... whatever sparks your creativity, give your customers aunt Cornelia's "from scratch" experience. Forget about the machine-tooled, stamped and mass-produced Pretty People shiny stuff. Keep making your jewelry with your own two hands. And don't forget to add in your signature love or joy or funk or sassiness... or whatever, as your secret ingredient. Every time you sit down to create jewelry, remind yourself: The more "from scratch" I make my jewelry, the more I will love it and others will love it too. The more of yourself you put into your creative process, the more your jewelry becomes a little piece of you that people can buy, take home, wear, and love. 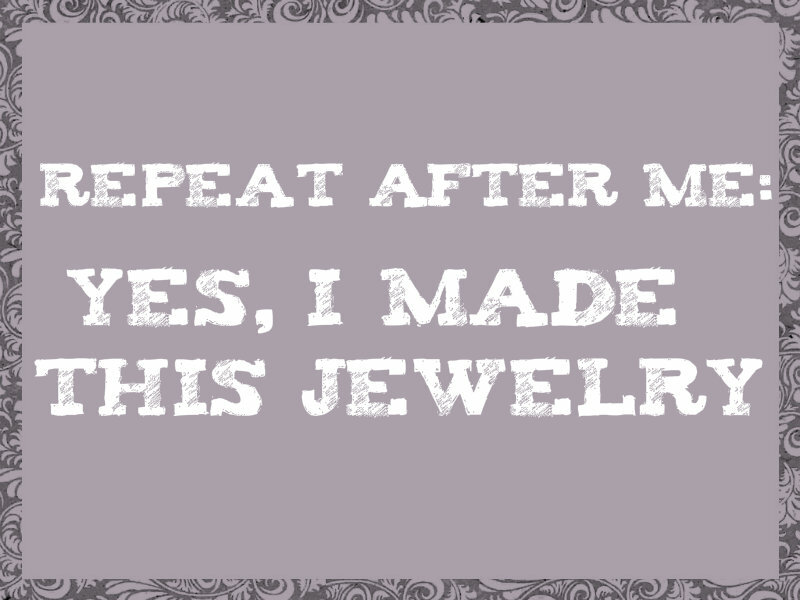 Perhaps you're not that far along on the jewelry making curve. 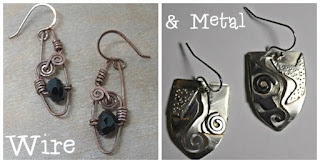 Maybe you can't create every component part you use in your jewelry. 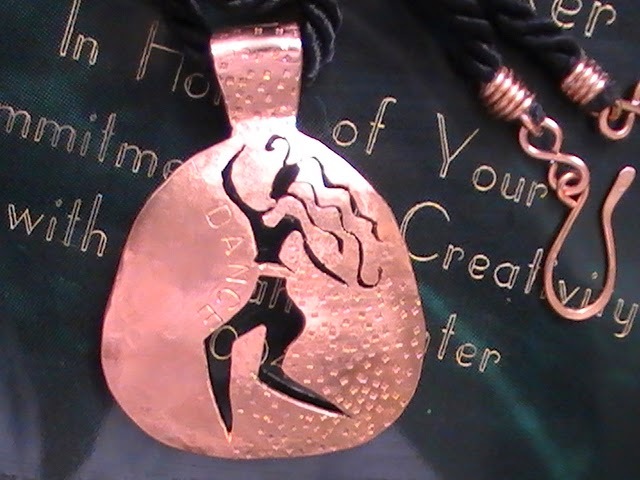 You can still create fabulous "from scratch" designs no one else in the world will have.